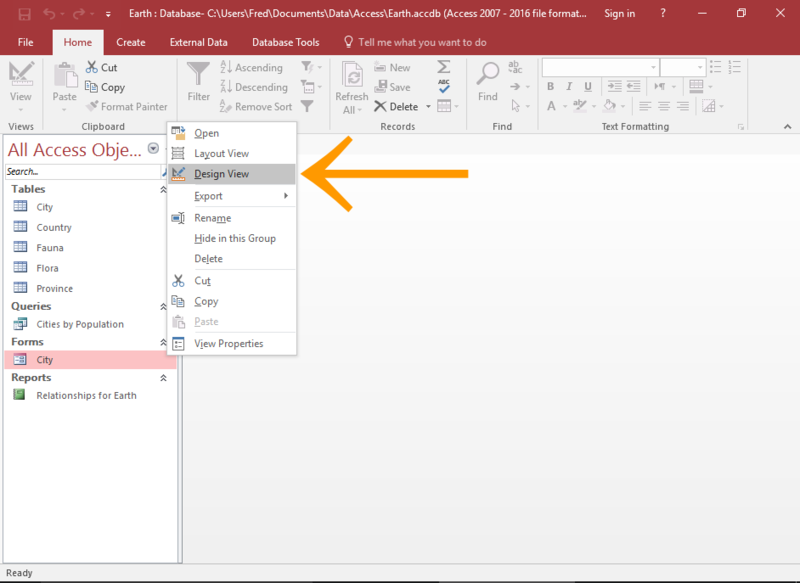 ﻿ How To Change A Form Header's Background Color In Access 2016? How To Change A Form Header's Background Color In Access 2016? 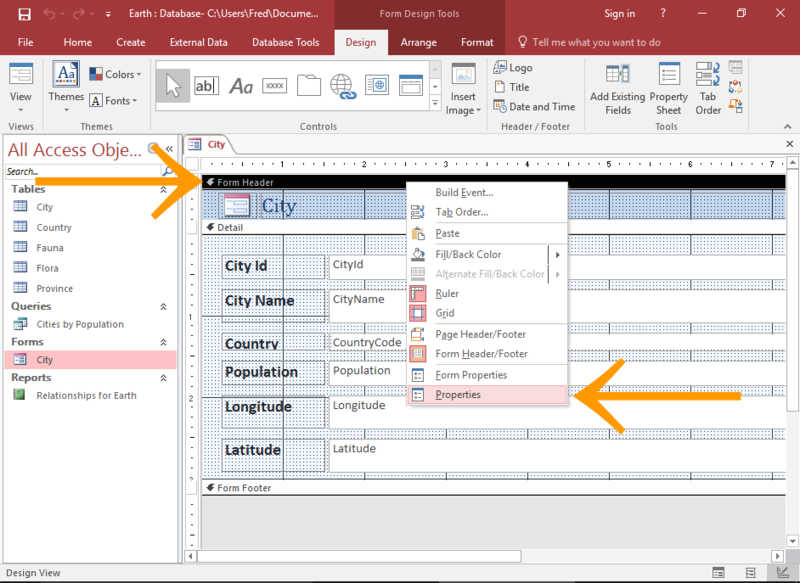 Do you know in Access 2016 application there are such options that you can change the background color of your form's header? Well you can keep different background color in different parts of form just by using the Back color option of the property sheet. Example, you can have the form header in one color and other detail section in another. Here, is the following step to change the background color of the Form Header. In the left Navigation Pane, right click on the form and select Design View. 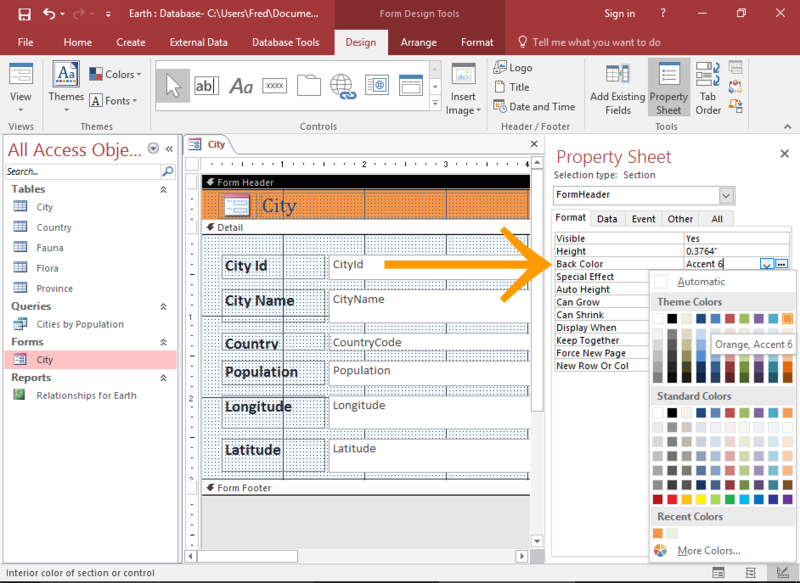 Make a right click on form header bar and select properties from the contextual menu. Use property sheet to change the color of the header. Selectively, use the Back color property to change the background color.Use one of the themes, or select a custom color with the color picker. If you are facing difficulty in finding the right property, click on the format tab to filter the properties to only the formatting properties.